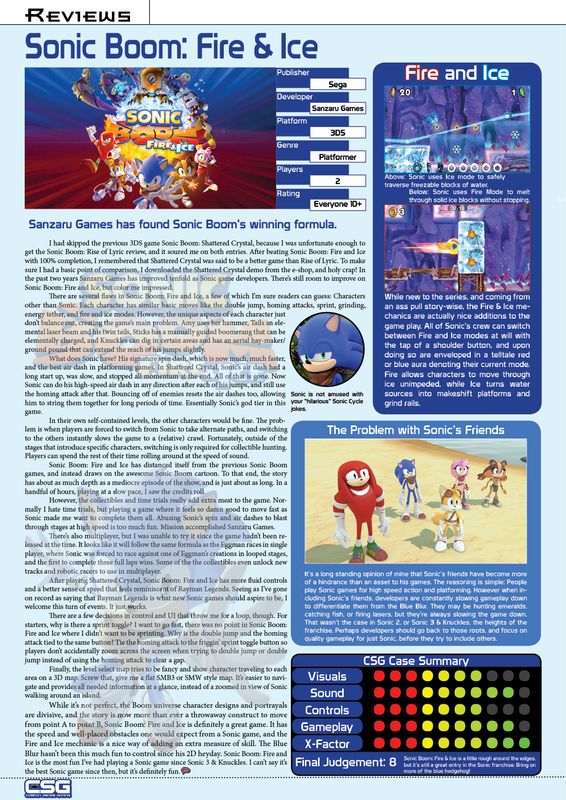 Here’s a gaming magazine style mock up of my GameZone review. The score is different because it uses a whole point scale, while we used a 0.5 scale on GameZone. So an 8.4 becomes an 8.5 or 8.0 depending on where you round to. I am glad it is not that bad! The original was universally destroyed by reviewers. Yeah, this one’s actually really damn good if you don’t have to have a by the books classic 2D Sonic game, and figure out how to go fast. It’s not hard to go fast as Sonic, but you’d think it were rocket science going by some of the reviews out there.